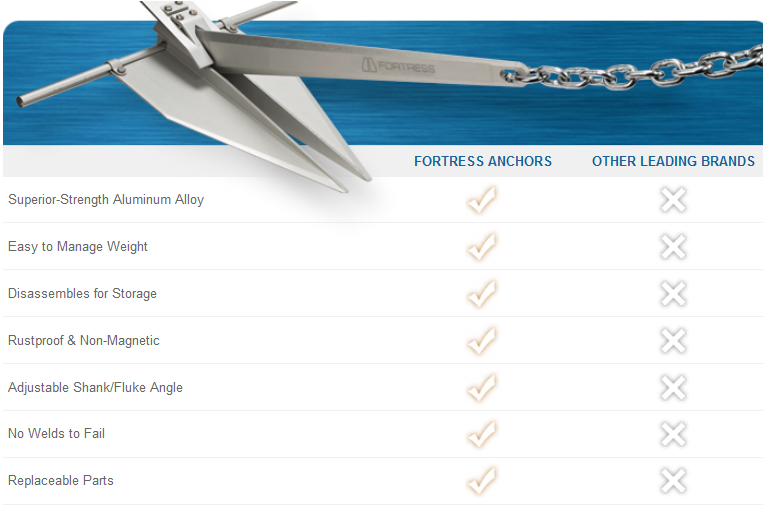 The Fortress FX-55 Anchor is one of the world's leading marine anchors made from aluminium with no weld seams meaning the end product is much more stronger and less likely to break. 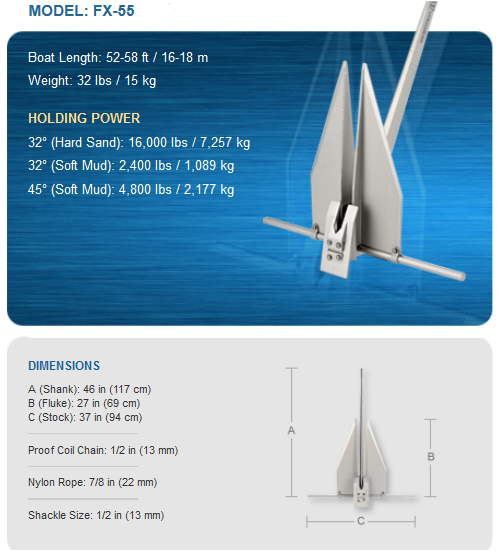 The anchor itself is lighter with more holding power than any other boat anchor. The Fortress FX55 suits boats between 16 and 18 metres long (for more info consult the size guide) and also comes with a 1 year warranty for replacement parts. If you are not sure which size you need still please consult one of our specialists on moorings and anchors on 00353 28 23190. Add 12mm chain, 3-strand 22mm nylon and 2 x shackles for a full anchor kit (see related products). 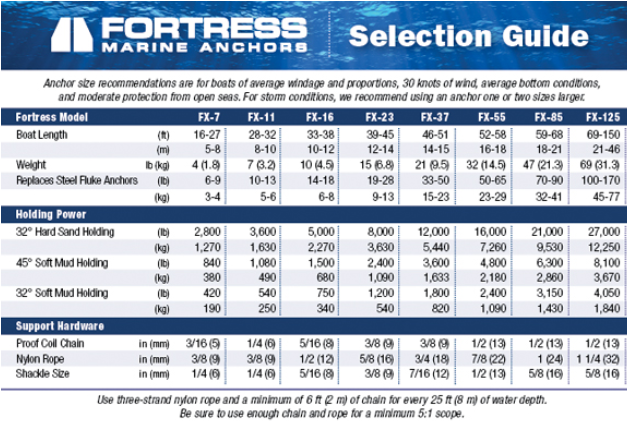 Fortress anchors let you choose between two shank / fluke angles to provide outstanding holding power in common sea bottoms a 32° angle for sand, mud or clay, or a 45° angle for soft mud.